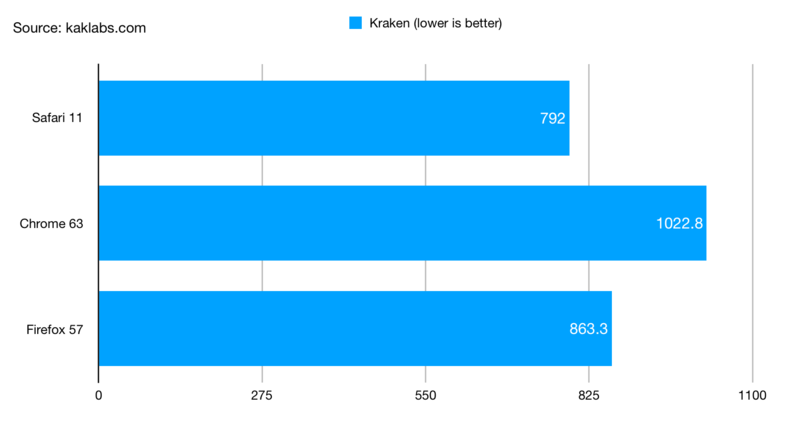 Kraken is benchmarking tool from Mozilla. 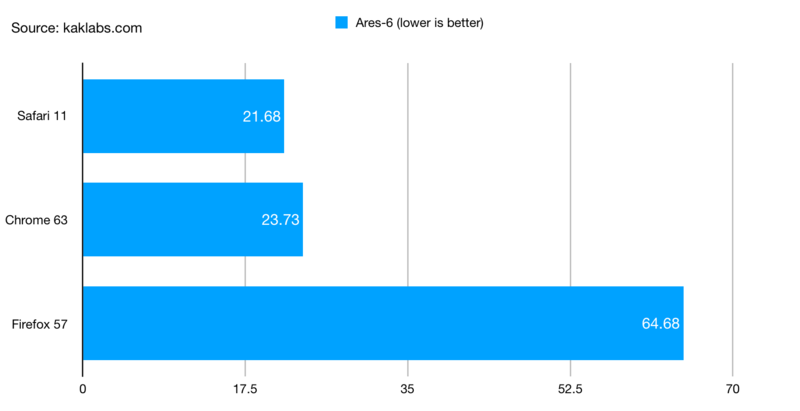 Although it’s developed by Mozilla, Safari 11 has the best performance for this benchmark. Winner: Safari 11. 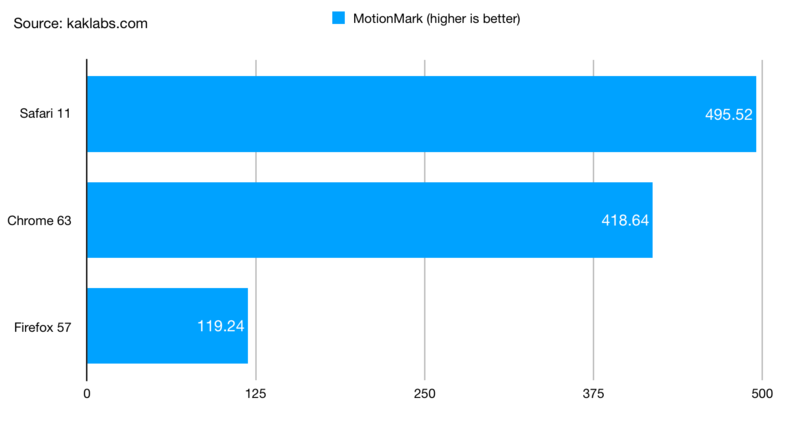 MotionMark is a graphics benchmark that measures a browser’s capability to animate complex scenes at a target frame rate. Both Google Chrome and Safari has score more than 400, but surprisingly Firefox’s score is below 120. Winner: Safari 11. 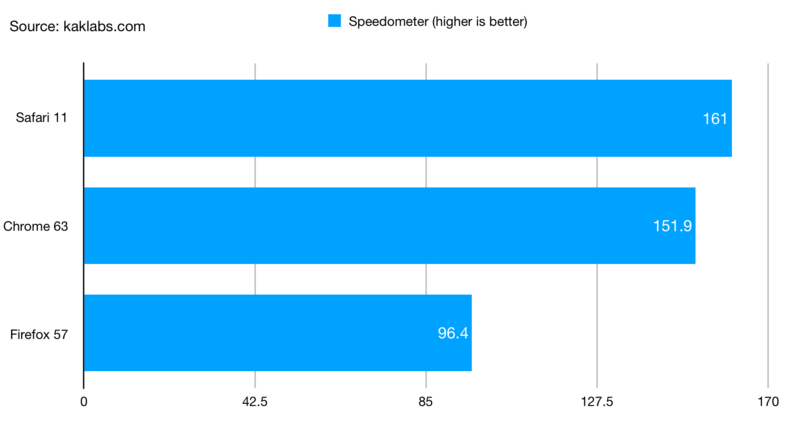 Speedometer is a browser benchmark that measures the responsiveness of Web applications. It uses demo web applications to simulate user actions such as adding to-do items. Winner: Safari 11. 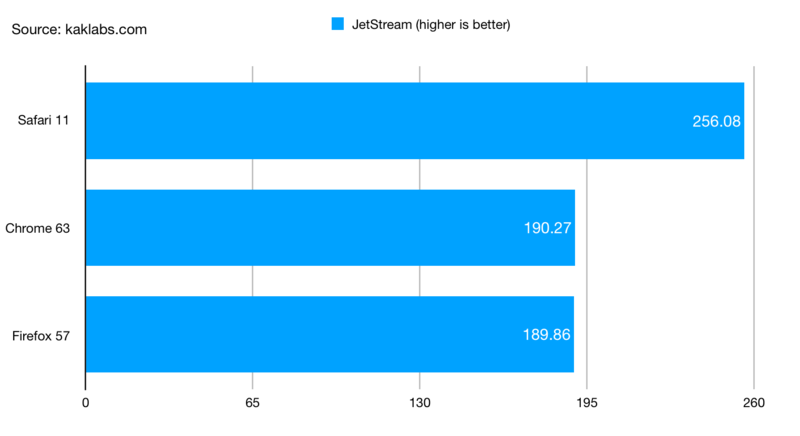 Based on this benchmark, Safari 11 is always get the best result. I think this is not suprised because Safari is designed to work under macOS ecosystem. Apple also claims with Safari we can watch Netflix twice longer. Based on these result, I decide to make Safari 11 as my main browser.